The island of Santorini is always on the list of the top places to visit in the world. 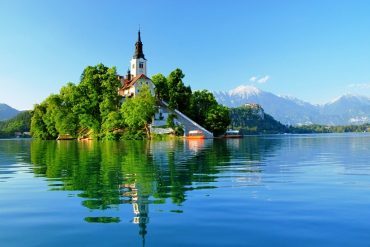 It is considered one of the most romantic places and a lot of people from around the world come to the island to get married or for their honeymoon. 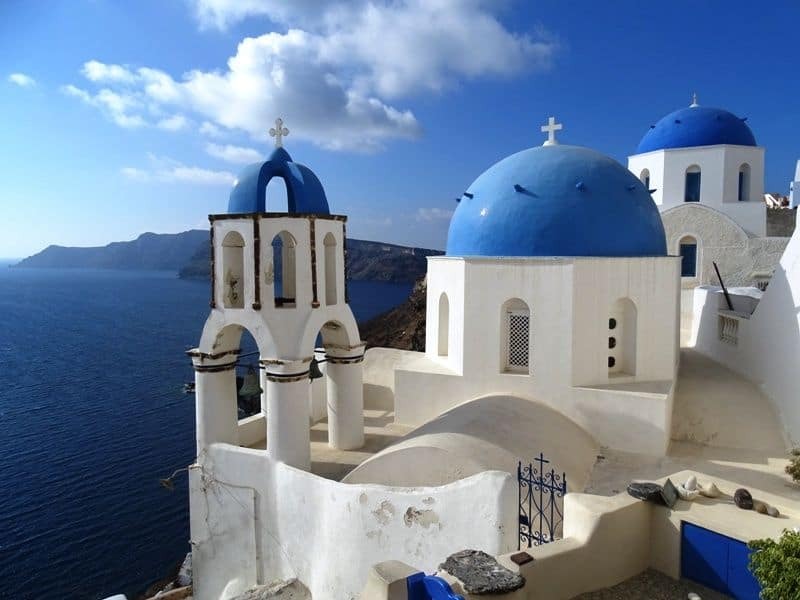 Santorini has also beautiful villages with white-washed houses, blue domed churches, pristine beaches with black sand and crystal waters, a lot of history and great cuisine and wine. There are many things one can do in Santorini. # 1 Watch the sunset from Oia. 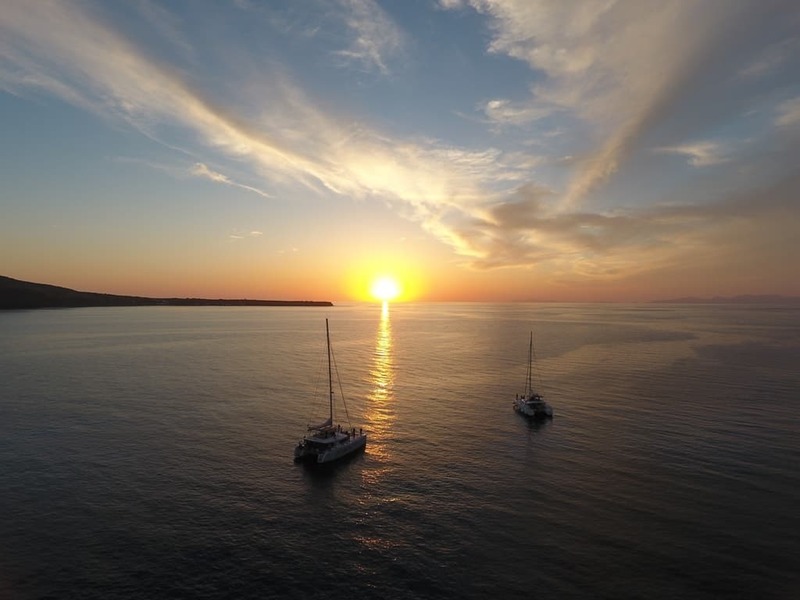 It is said that if you want to see the best sunset, the island of Santorini is the place to go. 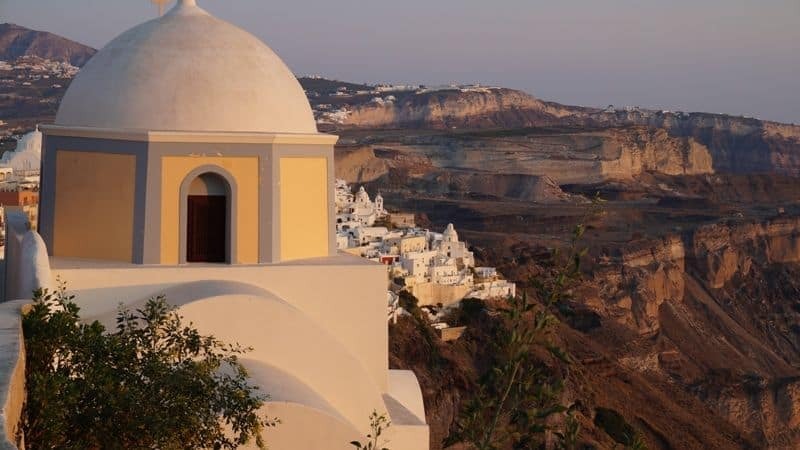 From the beautiful cliff-top village of Oia with the whitewashed houses, the windmills and little churches with the blue domes you will see the sun dive into the Aegean Sea. Beware, you will not be alone, every day a lot of people gather in Oia and climb the cliffs in order to find the best spot for the perfect picture. 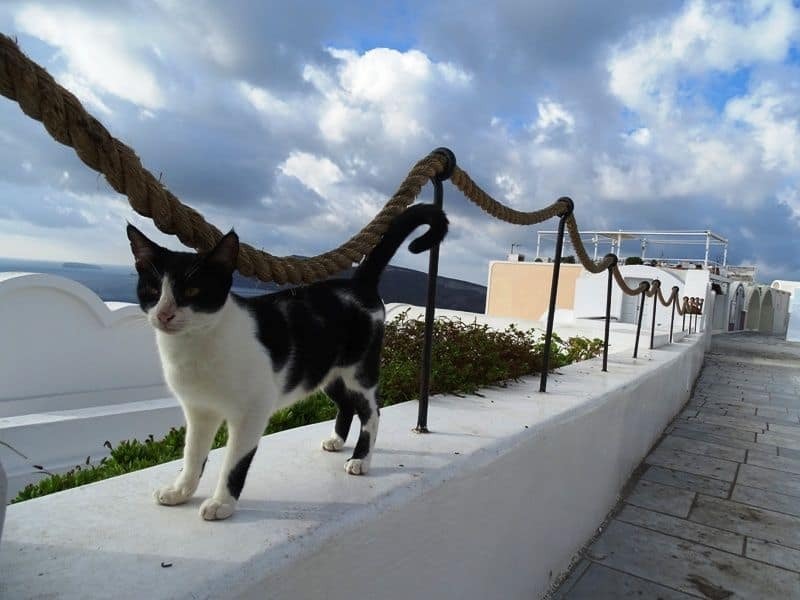 Check here for more things to do in Oia. It might sound tiring but it is not that bad and the view of the caldera will compensate you. This route will take you to all the villages that are build in the cliffs of Santorini and have amazing views of the Caldera. Along the way, you will pass the beautiful villages of Imerovigli and Firostefani. In order to reach Oia it will take you approximately 3 hours depending on how often you stop to admire the view or take photos. 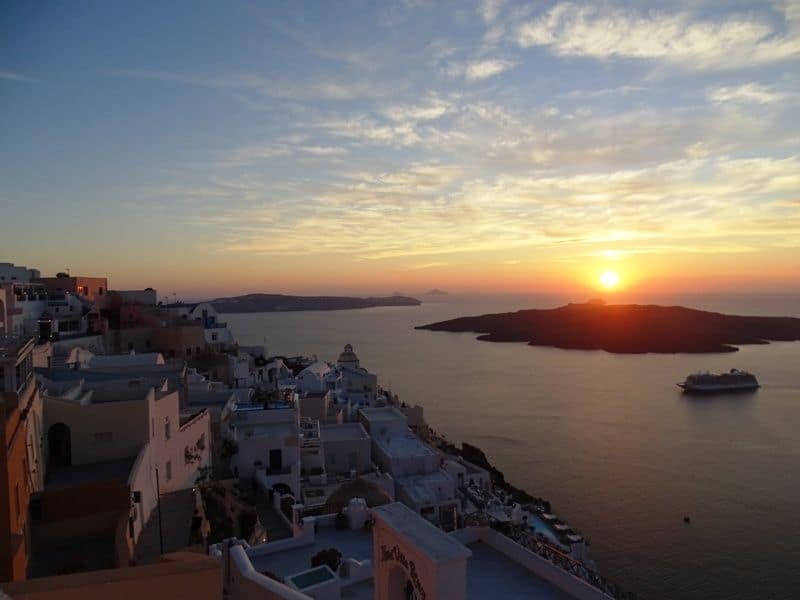 You can start your walk in the early afternoon and reach Oia just in time to admire the sunset. Don’t forget to wear a hat for the sun, take some water with you and wear sensible shoes. Santorini has been producing wine through the ancient times. The most famous varieties include Assyrtico, Athiri and Aidani. There are many beautiful wineries you can visit scattered around the island where you can learn about the wine production and taste the wine. I totally recommend the Santorini Half-Day Wine Adventure tour that includes a visit to 3 wineries and sampling 12 different wines. Santorini apart from the famous wines produces other products like cherry tomatoes, cucumbers and kapari. You can taste all these in the famous Greek salad. Other dishes you can taste is fava (split pea) and Tomatokeftedes (fried balls made from tomatoes). Try to avoid all the tourist restaurants and find a small family run taverna to enjoy better quality food at good prices. The excavations of Akrotiri have uncovered one of the most important prehistoric settlements of the Aegean dating back from the 4th millennium BC. There you will see the magnitude of the town, the multi – storey buildings, its drainage system, the wall paintings, the furniture and vessels all well-preserved due to the fact that they were covered by the volcanic materials. The archaeological site is open to visitors daily from 10:00 to 17:00. On my recent visit to Santorini, I decided to book a photo tour with Shotz tours. It was the best decision ever. 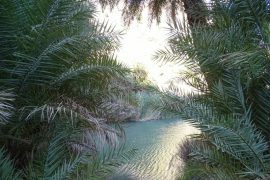 My guide took me around the island, showed me how to improve my photography and took me to off the beaten path places. Santorini is a very photogenic island and a paradise for photography lovers. Check here my post: A photo tour of Santorini with Shotz tours and find more information about the Highlights of Santorini 5-Hour Photo Tour. There are several tours operating on the island that will take you to the volcano, from there it is a 10 min walk to the top where you can see the active crater. Some other tours after the volcano take you to the island of Palaia Kameni with the hot springs and famous mud baths. 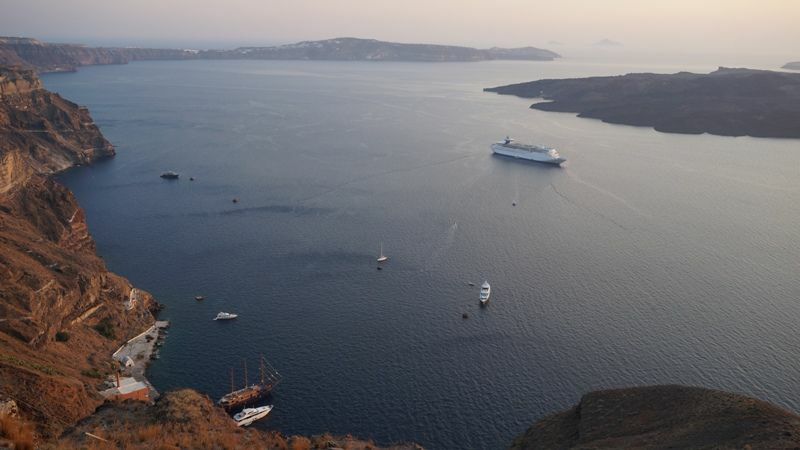 I recommend the Santorini: 5-Hour Small Group Catamaran Cruise that includes a swim in the hot springs and buffet lunch and drinks on board or its sunset version. If you actually want to walk on the volcano I suggest the volcanic island cruise. 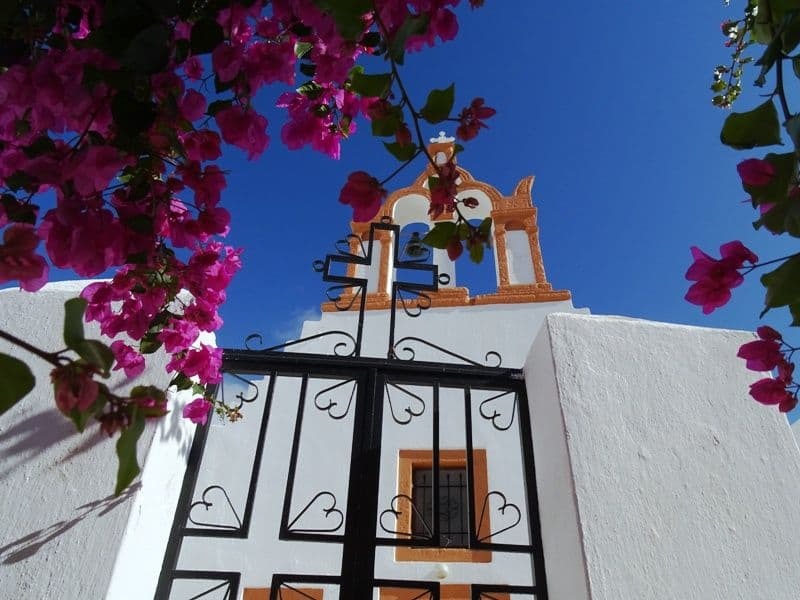 In the traditional village of Pyrgos you can visit the well-preserved ancient castle, Kastelli, one of the many churches of the village and enjoy the traditional architecture. 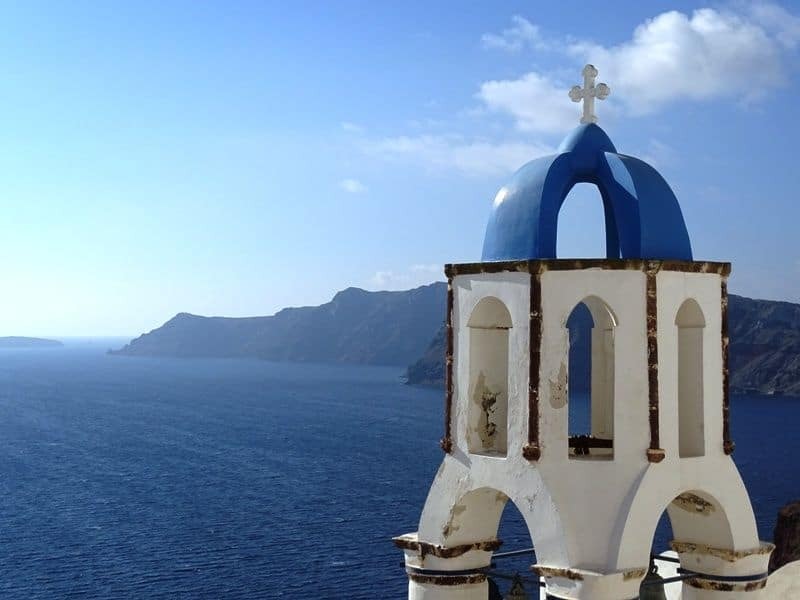 In Santorini there are in total 352 churches. The village of Pyrgos overlooks the beaches of Perissa and Perivolos. The village of Emporio was one of my favorite places on the island. I loved wandering through its little alleys. 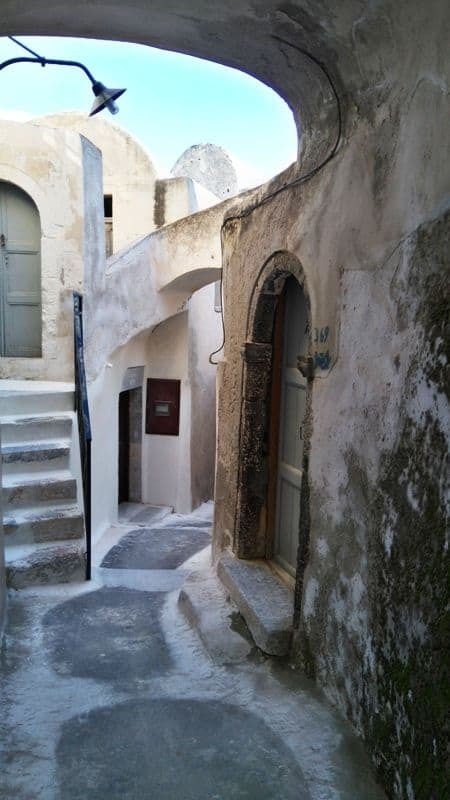 The beautiful town of Oia is crammed full of little alleyways that are just made for exploring. Follow the cobbled streets around the winding white alleyways, discovering the hints of blue in the town’s gates, doors and churches. You can also most always see a glimpse of the sea from every alleyway, making it even more spectatuclar. The alleyways of Oia are one of those places that look better in real-life than any postcard. 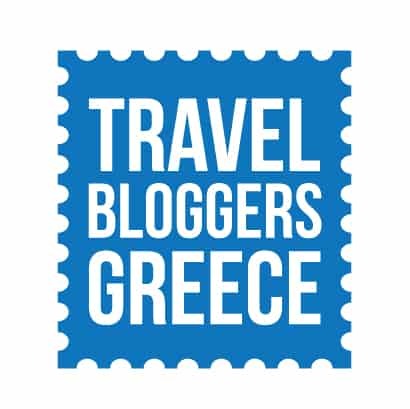 You might also be interested in: How to get from Athens to Santorini. 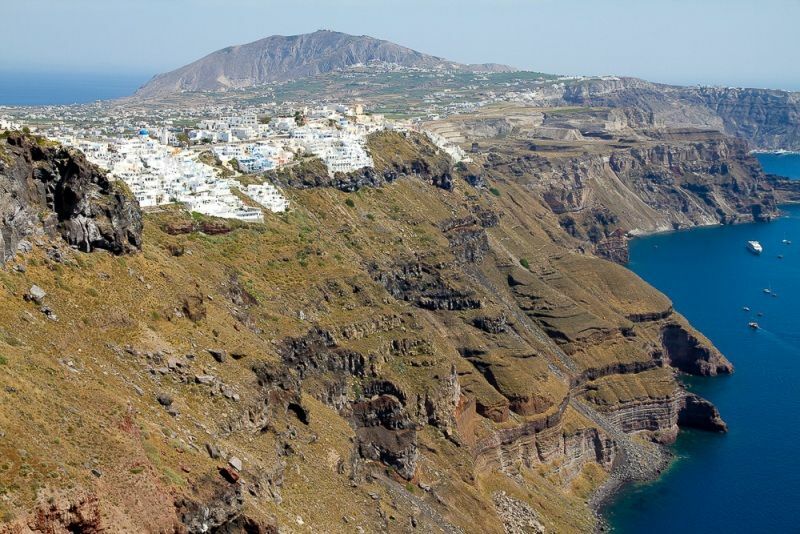 Located high upon the hills of Santorini is its capital, Fira. With breath-taking views of the sea and surrounding islands, as well as beautiful narrow streets and spectacular architecture, Fira is one of the most popular places to visit in Santorini. There are many ways to reach Fira, but the best way is by Cable Car, which you can get from the Old Port. 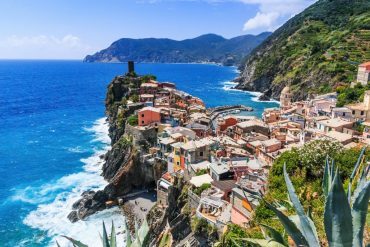 The views from the Cable Car are phenomenal; even if you are not interested in visiting the town, it is worth just taking the ride up there and back again to see the unforgettable scenery. Occupied in Medieval times, Skaros Rock is one of Santorini’s five castle fortresses. Towering above the deep blue waters and quaint little towns, Skaros Rock offers some of the best views, as well as history, in the whole of Santorini. If you are a fan of hiking, the surrounding area to Skaros Rock is great for exploring, and offers equally incredible views that are a little more off the beaten track. Situated high upon Messa Vouno lies Ancient Thera, an ancient capital named after the mythological leader, Theras. For just 4 Euro, you can wander around the ancient archaeological site, and imagine what life was like here, over one-thousand years ago. Unless you participate in a guided-tour, you will more than likely have to trek up to Ancient Thera, which is not for the easily-exhausted. However, the hike is well worth the effort and time, as the site itself is fascinating, as are the views from the top. Not too far from the ancient site of Akrotiri lies ones of the most stunning and unique beaches in the whole of Santorini, the Red Beach. 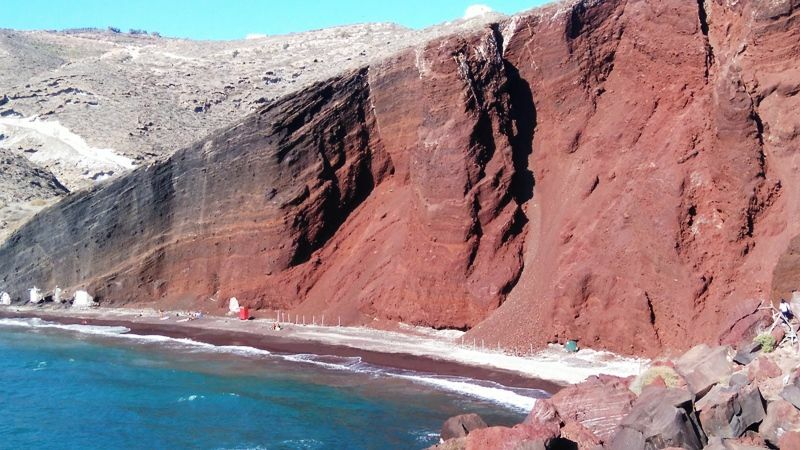 Named by its deep red cliff faces, the beach is one of the most popular for tourists to visit; like most places in Santorini, there are busses and other forms of transport, but the hike towards the Red Beach is astonishing. It is a fairly steep walk down to the shore, but nothing beats gazing up and enormous, dark red cliffs. Check out more beaches in Santorini. 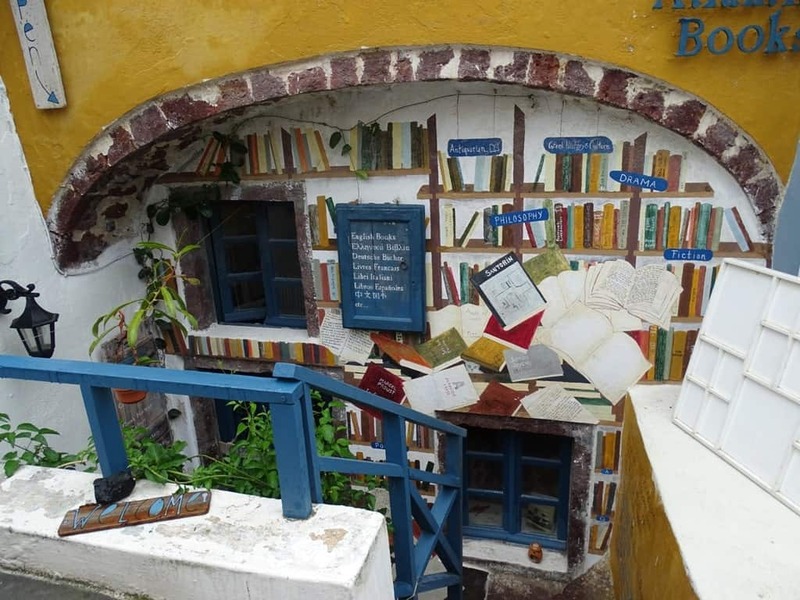 Nestled coyly beneath the whitewashed walls of Oia lies Atlantis Books, a bibliophile’s haven. This wonderful little hidden gem is jam-packed with all kinds of books, and has so many things to explore. The bookshop is really easy to miss as it is so discrete and concealed, but it is well-worth seeking out; you could spend hours getting lost in the shelves and quirky little charms. The Museum of Prehistoric Fira is a vast collection of artefacts mainly from the excavations of Akrotiri. There are some fascinatingly early pieces of history, dating back as far as the Neolithic period, and the early Cycladic era. The Museum of Prehistoric Fira is the perfect place to visit if you are a history-lover, or even if you are looking for somewhere to escape the Santorini-sun, and escape the heat for a little while, whilst also discovering some incredible artefacts. Also known as Faros Akrotiri, this stunning 1892 lighthouse is located on the most southern tip of Santorini. 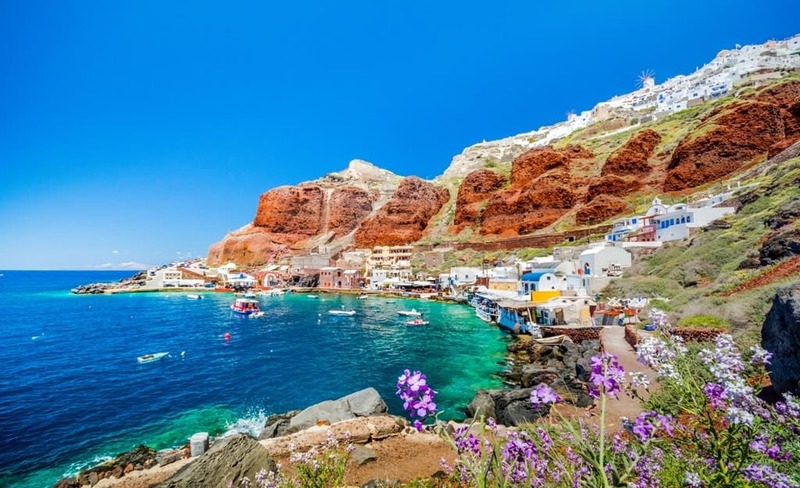 This is one of the most popular sites in Santorini, largely because of its history, and its nearby sites, such as the Red Beach. The best time of day to visit the lighthouse is at sunset, as you can see the sun slip behind the volcano in the horizon, and watch the sky turn a beautifully subtle pink hue. 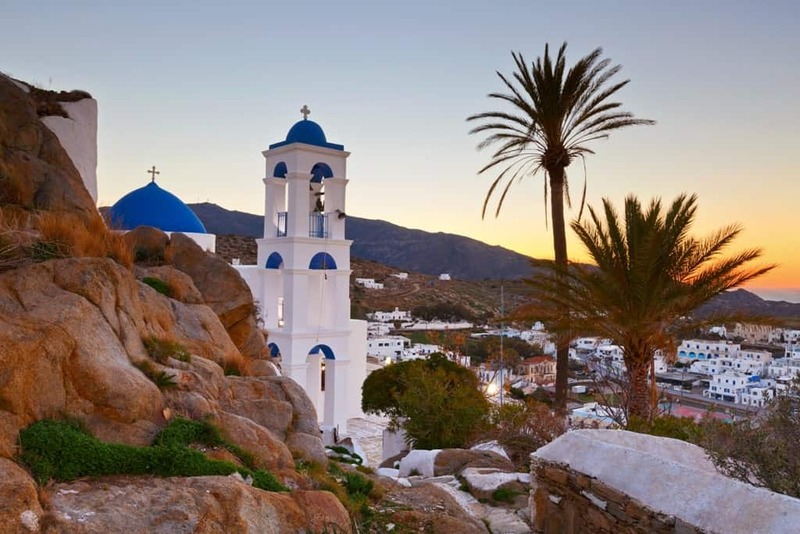 In complete contrast to Santorini, Thirassia Island is remote, tourist-free and tranquil. 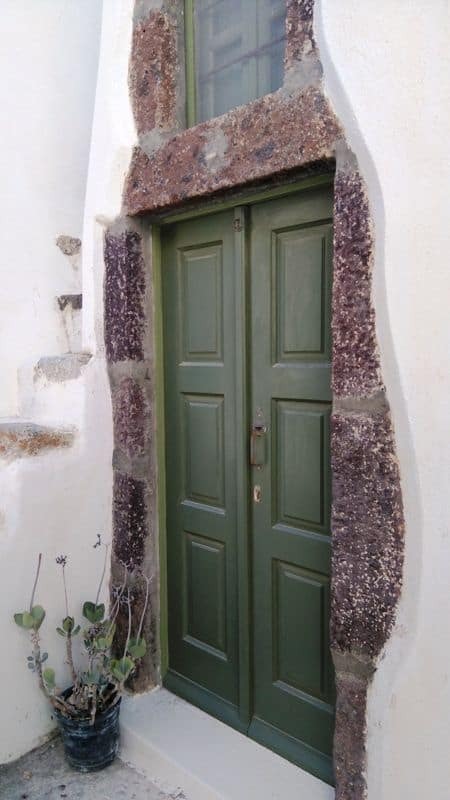 The island feels very old-fashioned, compared to the more modern charm of Santorini, yet it is beautiful because of this. On Thirassia Island, there are gorgeous beaches and hot springs you can visit. Moreover, there are some lovely authentic Greek restaurants that serve some of the most beautiful food you will ever try! Amoudi Bay is most famous for its traditional Greek taverns, serving authentic dishes, including fresh local fish. The Bay is incredibly romantic, and is filled with a combination of young couples, as well as families enjoying the atmosphere. Having lunch in Amoudi Bay is the perfect combination of everything: the astonishing views, the traditional food, and not filled with tourists and any accompanying noise. 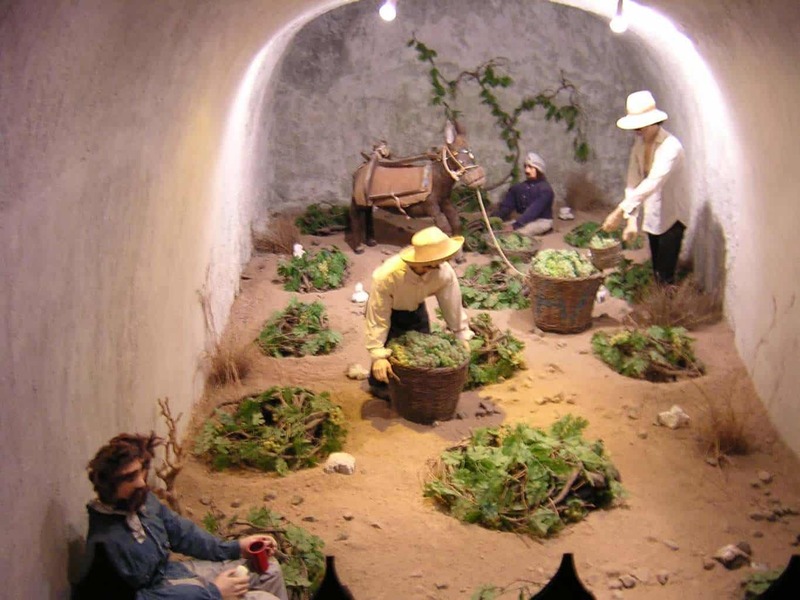 This family-established wine museum is one of its kind, and exhibits the historic to contemporary wine-making processes in Santorini, as well as a wine-tasting experience. It is fascinating to learn how the wine becomes what it is, and to then be able to sample it at the end is a fantastic experience. The museum is situated in a cave style building, giving it’s a mysterious atmosphere. Perissa is a tranquil, relaxing seaside village with long stretches of beach, sheltered beneath Messa Vouno; this is the perfect beach to visit if you would like to relax, perhaps do some sunbathing, or get lost in a book. On the other hand, Perivolos is a lot more vibrant, and filled with a younger crowd and lots of clubs. It is still well worth the visit, if you could like to sample a different type of scene to the rest of Santorini. The performance of the Greek Wedding Show is a great activity to do whilst you are in Santorini; it is an exhilarating musical that involves the whole family, and is truly unforgettable. Jump right into Greek culture with this show’s exciting songs and dances, as well as its brilliant actors; this interactive performance is a definite must for anyone visiting Santorini. Fira is Santorini’s main town, and a vibrant hub of hustle and bustle. Enjoy the winding narrow streets lined with boutique shops selling unique pieces, quaint little bars and cafes filled with locals, as well as astonishing views of the neighbouring islands and the emerald water below. 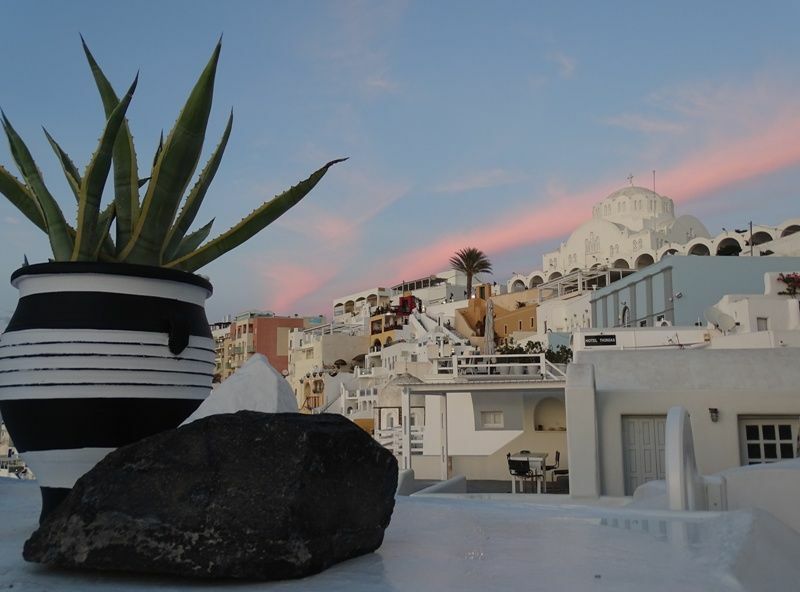 Fira is as beautiful at night as it is in the day, as the lights in the town give it a very charming atmosphere; like many places in Santorini, it is also a great place to watch the sunset. Since the 1930s, the cinemas have been quintessential to Greek life, particularly its Open-Air theatres, that are all the more beautiful in the summer. The cinema is beautifully designed, with lots of pretty decorations that provide it with a garden theme. There is a bar that sells alcoholic beverages, as well as popcorn, which you can enjoy whilst watching a movie in the company of other locals and tourists alike! It is a great and unique way to spend an evening in Santorini. Greece is famed for its cuisine and wine, so what better way to experience its culinary delights and fantastic wines that by taking a cooking class and a vineyard tour? Visit a volcanic vineyard and discover its unique basket vines, and how Santorini wine is so distinct. Some of the key wines to try are Assyrtiko, Nykteri, and Vinsanto. Afterwards, learn to cook like a true Greek in the hands of a real Greek chef, so that you can use these skills at home as well. Also, ensure that you try the classic Greek aperitifs, Raki and Ouzo. Click here for more information and to book a cooking class with wine tasting. 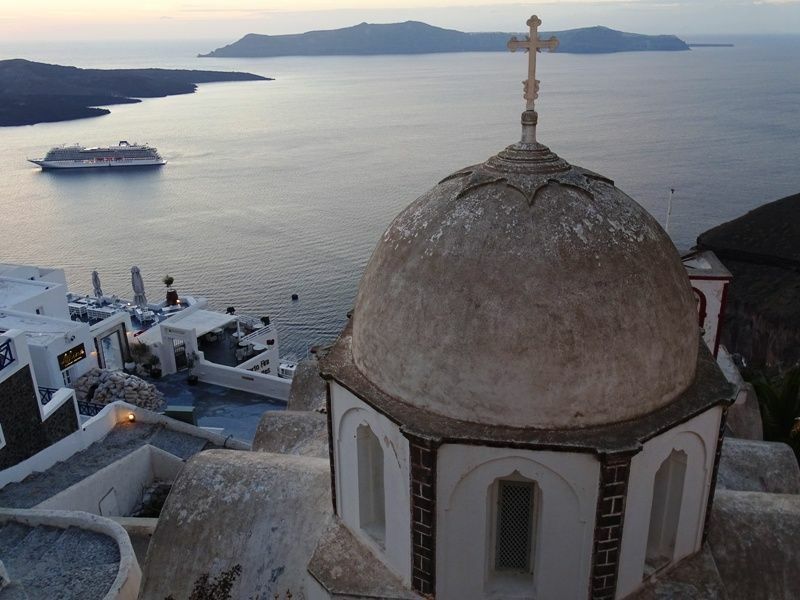 Santorini is famed for its majestic sunsets, and one of the best ways to enjoy them is on a cruise. There are many tours that you can do that include dinner and drinks on board a boat that give you astonishing views of the surrounding and unforgettable memories. There are also many tours that take you to certain destinations and offer many activities before dinner, such as snorkeling, swimming and visiting hot springs. Click here for more information and to book a sunset catamaran cruise. 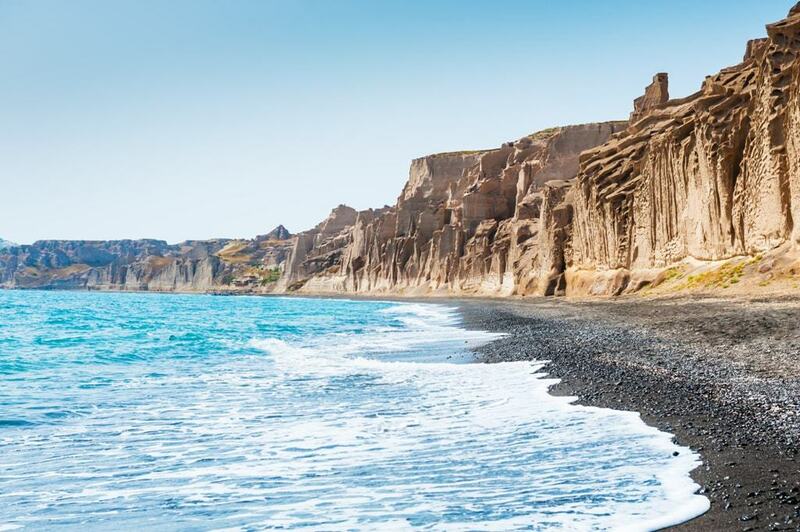 Situated on the south coast of Santorini, lies Vlychada Beach, an easily accessible beach that is dominated by its iconic large white cliffs. Even if you are not one for sitting on the beach for hours, sunbathing and relaxing, Vlychada Beach is still very much worth the visit, due to its magnificent natural beauty. The beach is relatively quiet, so it is a great place to escape the hustle and bustle of some of the more touristy beaches. A local Santorini beer is Yellow Donkey, a quirky blend of hops from around the world, that create a refreshing citrus taste that is perfect to drink of a hot summer’s day. There are also other variations by the same brewing company, such as Crazy Donkey, Red Donkey, and White Donkey, which are all equally delicious. You can also stop by and visit the microbrewery, to see exactly how your beer came to be; if you were a fan of the beer, you can also buy t-shirts and other souvenirs! Ios Island is one of those places that you have to see before you can believe it is real; imagine vibrant, clear waters sheltered rolling cliffs, dotted with white-washed buildings. It truly is postcard perfect. Relax on the sandy beaches, take a book or embark on a dip in the sea, finishing off the day wandering around the town and indulging in some beautiful Greek cuisine. 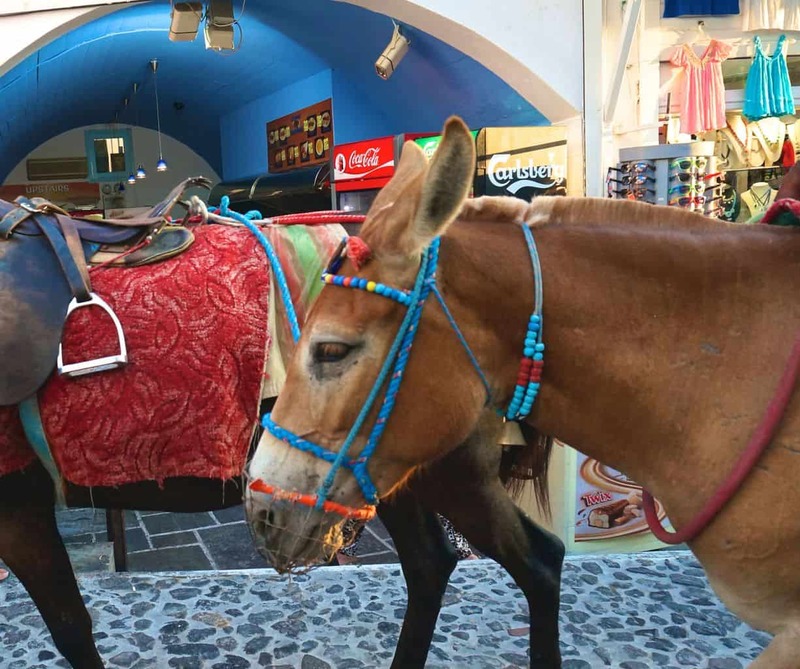 Donkey riding is a historic means of transportation in Santorini, and it is still available to tourists, for example, you can ride donkeys instead of the Cable Car when getting to Fira. However, many animal welfare groups urge tourists not to ride the donkeys, because they are working in poor conditions, and it causes them a lot of physical pain and exhaustion. They are forced to climb steep steps multiple times a day, and consequently suffer a lot of physical abuse. There are many alternatives to donkey travel, such as taxis, buses, bikes, cars or just walking. Located just 200 m away from the central square of Fira this guesthouse offers rooms with free Wi-Fi, air conditioning, and a fridge. The hotel is next to many restaurants, bars, and shops and is a good choice for travelers looking for a budget-friendly hotel in Santorini. This is the most inexpensive way to get to your hotel but you should consider a few factors. The buses run regularly during the summer not that often during the other periods. The bus will leave you at Fira and from there you need to change the bus. For more information click here. You can pre-book a car online before your arrival, and find your driver waiting for you at the arrivals with a welcome name sign and a bag with a bottle of water and map of the city, thus saving you all the hassle of having to find a taxi or taking the bus. The cost of the private pick -up is the same price as a regular taxi. It is around 35 euros from the airport to Fira and approximately 47 euros from the airport to Oia. Another option to consider is to ask your hotel how much they charge for an airport pick-up. There are some hotels that offer this service for free. You can pre-book a car online before your arrival, and find your driver waiting for you at the port with a welcome name sign and a bag with a bottle of water and map of the island, thus saving you all the hassle of having to find a taxi or taking the bus. The cost of the private pick -up is the same price as a regular taxi. 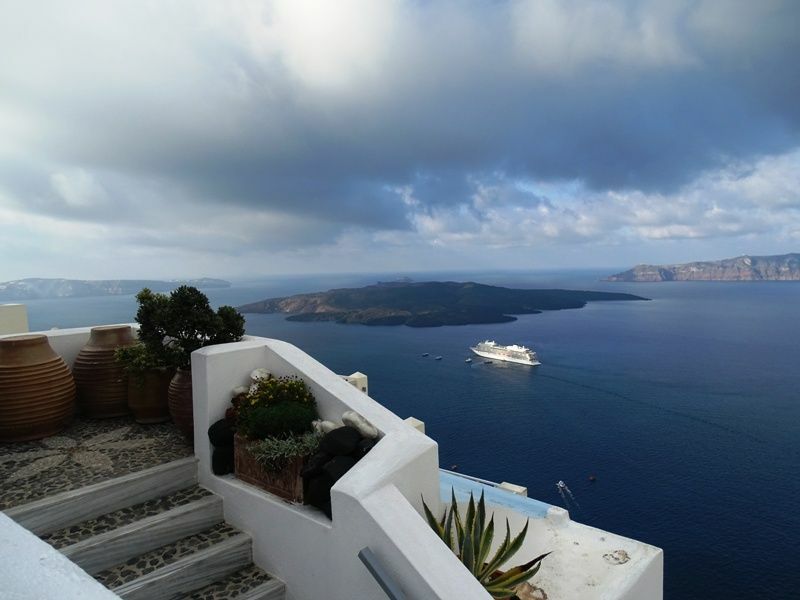 It is around 35 euros from the port to Fira and approximately 47 euros from the port to Oia. Another option to consider is to ask your hotel how much they charge for a port pick-up. There are some hotels that offer this service for free. Santorini is a unique island with many things to do and see worth visitiSantorini is a truly unforgettable location to visit, and there is always something for everyone, no matter your age or interest. From the beautifully steep volcanic mountains, ancient towns and new towns, traditional Greek cuisine and spectacular wines, all the ways to its glistening beaches, Santorini is a unique place with so much to offer. 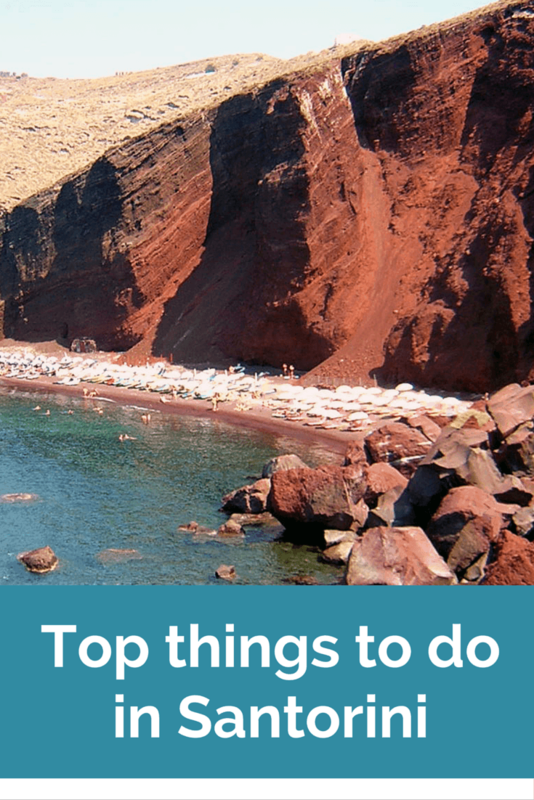 A quick tip regarding the best time to visit, Santorini is a tourist hotspot, and it can get very crowded and busy in June, July and August, particularly because children are on school holidays so there are lots of families. The best time to visit is April and May, or the end of September to October; that way there is still lovely hot weather, but no crowds! 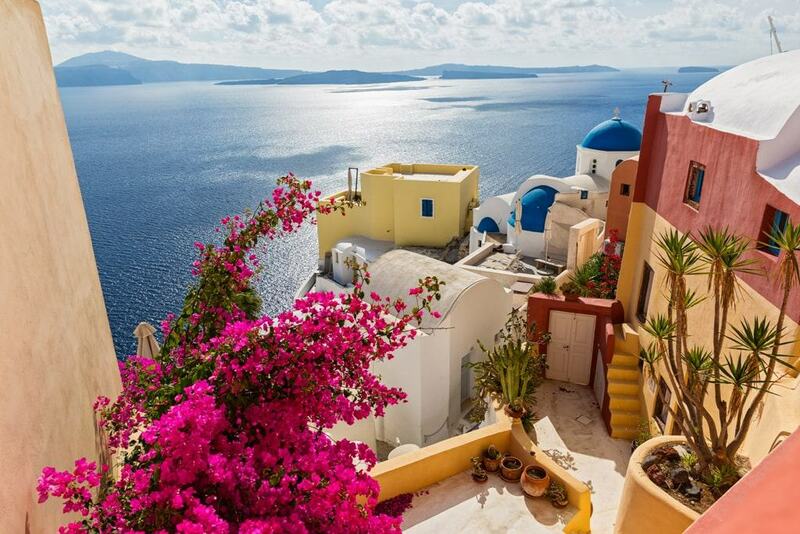 Once you jump into the wonders of Santorini, you will be itching to book another trip. ng at least once in your life! Have you ever been to Santorini? What did you enjoy the most? It’s just impossible to take a bad photo in Santorini isn’t it? Great list of things to do! I think you must try really hard! I want to visit Santorini . Can you recommend a romantic beautiful place to stay but reasonably priced under 200 pounds a night . Could you please let me know for which month you are interested in? June, July, August and September are expensive. You can also save money by booking in advance. Santorini has been on my bucket list since I saw my cousin’s pictures who went there on her honeymoon. Amazing island! I hope you can make it there soon! It is a great place for honeymoons! Ok, so I think you missed the massive archaeological dig which proved that a sophisticated people existed on Santorini before the eruption – it was called Thera then. There are a lot of archaeological sites in Santorini. The site at Akrotiri was burried under the lava. Stunning country! I’d love to do all 10. Yes all ten are great! Is it possible to do all 10 in a day.. say i land early morning and take a late night flight back to Athens. These are all on my bucket list! 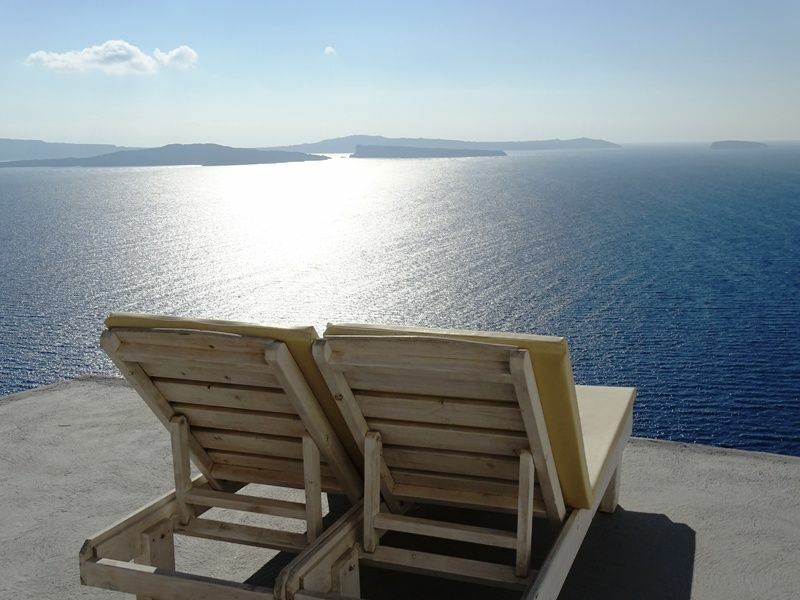 Wow, the views from Santorini are just amazing. 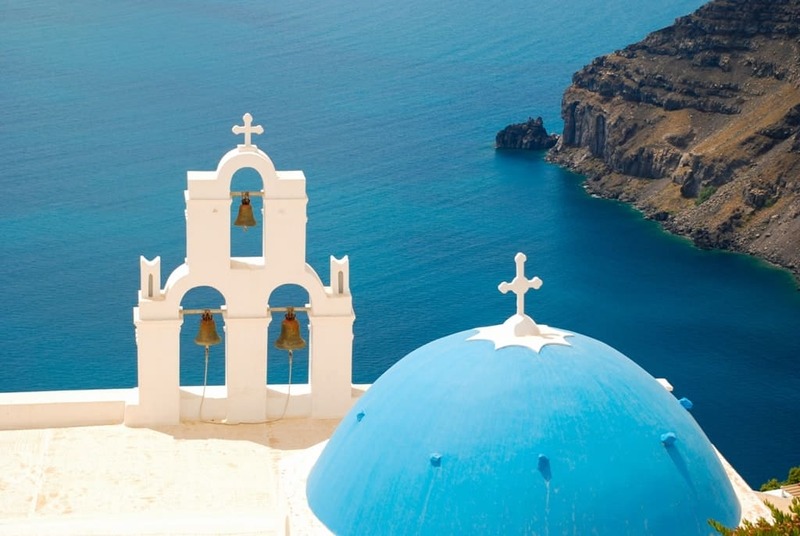 After being a little disappointed with Kos we really want to visit Greece again and fall in love with it and Santorini seems like the perfect place to do that. 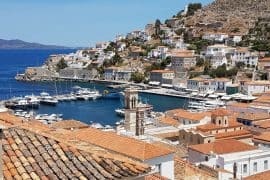 I can name quiet a few greek islands worth visiting before Kos! Santorini is one of them! My favourite part of Santorini was watching that amazing sunset.I also rode a donkey but it was a quite terrifying descent! Oh they usually use the donkeys to climb up. It must have been scary! I sometimes think I’m one of the few people that have yet to visit Santorini. Great list to keep in mind, wonderful photos too! Thanks! It is really a place where you have to go! Great list. Bookingmarking as I am visiting for the first time in July. Thank you! i ma sure you are gonna have a great time! I had no idea it was possible to walk from Fira to Oia! That definitely sounds interesting. And of course the sunset is an absolute must! I absolutely loved Santorini! I did almost everything on this list and can’t wait to go back and do more! It is so picturesque! I did ride the donkey and go to a winery and watched the sunset in Oia and eat delicious food and more! Great post! Didn’t know about the island of Pygros. Really gorgeous pictures! You’re making it hard for me not to just go book tickets right now. Thanks a lot! Santorini is breathtaking and I am happy I will revisit next month. 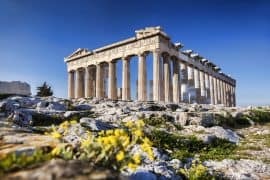 I just made plans to come to Greece in September and was looking for some local tips. Thanks a ton Chrissy, your site is a gem! Tamara thanls a lot! I am very happy you find it useful. hi chrissy! would it be okay to visit santorini in november? thanks. I was in Santorini the last days of November this year. There were still people around because of the cruise ships. There were some restaurants and bars open along with museums and wineries. The weather was perfect but it doesn’t mean that you will have good weather. Generally it was good because it was less crowded. Thanks for the all the information. And the pictures are beautiful. I am hoping to visit Santorini next week. The only issue is that I have just a day there. Is it possible to cover all the 10 of the above in a day? You are welcome. If you need to see as more as possible in a day you need to either rent a car or a private day tour. I don’t know your interests but if I skipped something from the above I would skip the volcano. Hello from Greece! I like the way you write about my country! 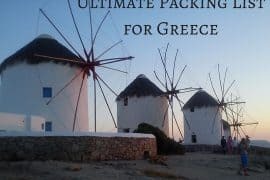 Greece has many beautiful islands like santorini, I found your guide very informative! 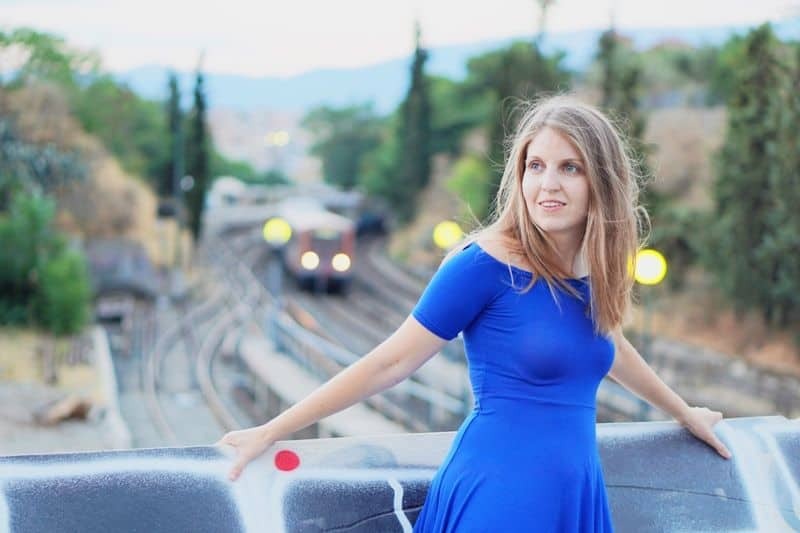 Thank you, Eleni, I am Greek too and Greece is among the most beautiful countries I have been! Good Day. I am hoping for some advise. My friend and I are scheduled to go on the Crown Princess for a week long cruise in July 2018. We are doing the Mediterranean cruise from Rome, Italy to Athens, Greece with stops at 5 different ports along the way. We would like to extend our trip by a few days and see some more sights. We are from South Africa and never expected an opportunity like this to present itself and therefore have no idea on what we should do… get there early and explore more of Italy or hang around in Greece for a few days??? Sounds like an amazing cruise. 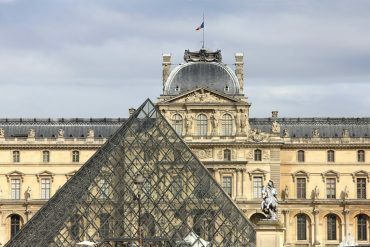 If you are interested in art and cultural sights you can get to Italy beforehand. If you are looking for beach time combined with some archaeological sights I suggest Greece. Both countries are equally beautiful. If you want you can email me using the contact form and we can talk about it more.